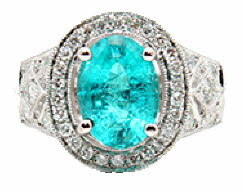 We have one of the finest collections of genuine Brazillian paraiba tourmaline jewelry in Florida. 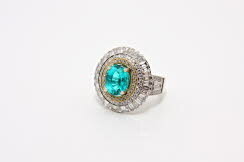 Other sources of paraiba tourmalines have been discovered since the original Brazilian mines were mined out, but the other sources lack the fire and depth of color of the Braziailn mines. 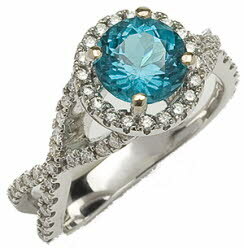 See our collection below.